Anger management refers to a process. It can help people identify stressors. People learn steps to help them stay calm in anger management. They may then handle tense situations in a constructive, positive way. The purpose of anger management is to help a person decrease anger. It reduces the emotional and physical arousal that anger can cause. It is generally impossible to avoid all people and settings that incite anger. But a person may learn to control reactions and respond in a socially appropriate manner. The support of a mental health professional may be helpful in this process. Who Can Benefit from Anger Management? Anger may result in externalizing behaviors. These can include verbal arguments and tantrums. Anger can also cause internalizing behaviors. Internalizing behaviors can include sulking or increased symptoms of depression. People may show anger through aggression. Aggression is the biological function of anger. It is an evolutionary response that helps prepare people to fight off threats. Inappropriate displays of anger may mean a more serious mental health or emotional issue exists. People who receive anger management therapy learn skills to slow their reaction to anger. This can help them identify the reason for their feelings. The roots of anger may be buried in emotional trauma, addiction, grief, or other issues. But a natural inclination may be to find temporary relief in lashing out. This can obscure the true cause of the anger. If this is the case for you, working with a therapist might be helpful. These figures highlighted the importance of adjusting one’s perspective of events. They also supported avoiding situations which could incite rage. Anger management therapy provides a clear set of recovery guidelines. It gives the person in treatment a controlled platform for the release of their emotions. At the same time, it aims to achieve constructive responses, rather than destructive ones. People in therapy are encouraged to examine what triggers their anger. They try to become aware of their emotions at each level of arousal. People learn how to use those signs as a map to control their anger. In therapy, people gain insight into how their body responds to past and future events. They do this by identifying the emotional reaction to a certain circumstance. Therapists also help people notice anger responses that may be defense mechanisms for other concerns. These concerns might be depression, anxiety, or other mental health issues. Anger management therapy often helps people with anger issues. It may also help the people who make up their social network. Uncontrollable anger may lead to harmful psychological and physical conditions. Anger management helps to reduce and control anger. This allows people to reduce stress. It can also lower the risk for serious health problems. These can include heart disease and high blood pressure. Anger management therapy may take place in one-on-one or group settings. Classes address specific types of anger issues. These can include relationship issues, parenting, teens, and work-related anger or rage. Sometimes people are court-ordered to attend an anger management class. This can be a result of a domestic or legal issue. Therapy is available on a continuing basis. People interested in anger management may also take a retreat or online course. Most anger management classes include homework assignments and exercises. These strengthen the techniques learned in therapy. They also allow the person in therapy to practice their new skills in real-life situations. Many court-approved agencies offer anger management programs. 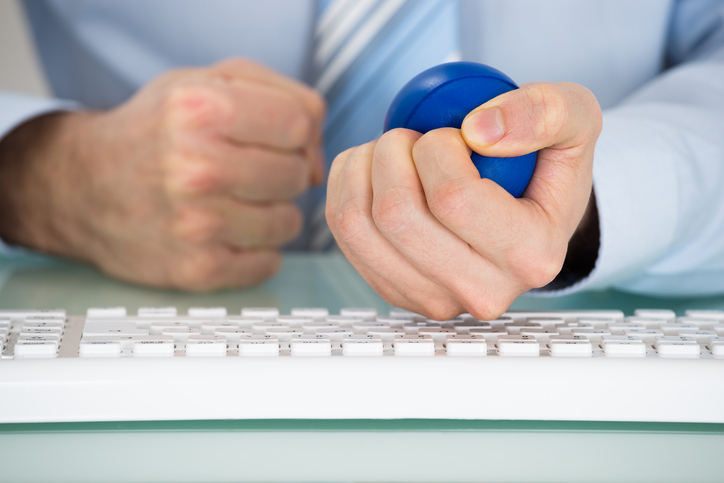 People convicted may also take court-approved anger management classes online. The National Anger Management Association (NAMA) provides anger management certification. Specialists in the United States may receive this certification. NAMA trains psychiatrists, psychologists, counselors, religious leaders, social workers, life coaches, and educators. They seek to address the growing need for anger management services in organizations, hospitals, schools, and communities. NAMA offers five distinct certifications. University students may earn a student certification from NAMA. They can then offer teach in their community. This is done with an authorized NAMA supervisor. Students can get a recommendation from their NAMA supervisor. Doing so allows them to have their certification upgraded once they graduate. Anger management therapy may not be effective with people who do not recognize they have anger issues. People with severe learning disabilities may have some difficulty responding to anger treatments. These treatments are sometimes based on principles of cognitive behavioral therapy (CBT). People with other mental health issues may need to address these underlying problems first. Doing so may make future anger management more effective. Baguley, I. J., Doyle, M., McCarthy, K., Nott, M. T., Onus, M., & Walker, A. J. (2010). Effectiveness of a group anger management programme after severe traumatic brain injury. Brain Injury, 24(3), 517-524. Borsay, C. (2012). Anger management interventions for adults with learning disabilities living in the community: a review of recent (2000-2010) evidence. British Journal of Learning Disabilities, 41, 38-44. Creech, S. K., Kachadourian, L., & Taft, C. T. (2012). Assessment and treatment of posttraumatic anger and aggression: A review. JRRD, 49(5), 777-788. Davis, R., King, N., Lancaster, N., Nettleton, N., & Wynne, G. (1999). Cognitive-behavioral anger management training for adults with mild intellectual disability. Scandinavian Journal of Behaviour Therapy, 28(1), 19-22. Dudley, A., Gandolfi, S., Moore, E., Tapp, J., Thomas, B., & Wilson, C. (2013). Evaluation of anger management groups in a high-security hospital. Criminal Behavior and Mental Health, 23, 356-371.